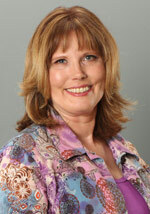 Started in 1993 by Kimberly Shannon, Off-Site Business Services, Inc. works with business across the United States. We have over 90 years combined office experience to meet a wide range of client needs. We have a Certified QuickBooks ProAdvisor on staff to handle any questions. We are available and reliable throughout normal business hours, all year long. Clients only pay for the hours of service used. We do bookkeeping for less than half the cost of a CPA firm. We do not charge a monthly fee for a payroll account (unlike Paychex). Our staff updates their skills regularly through continuing education. For a FREE consultation, call us at (708) 966-4441 or by email at kshannon@offsitebiz.com. Off Site Biz provides office management, payroll and bookkeeping to Orland Park, Tinley Park, Oakbrook, Naperville, Palos Heights and Plainfield, IL as well as the rest of Chicagoland.